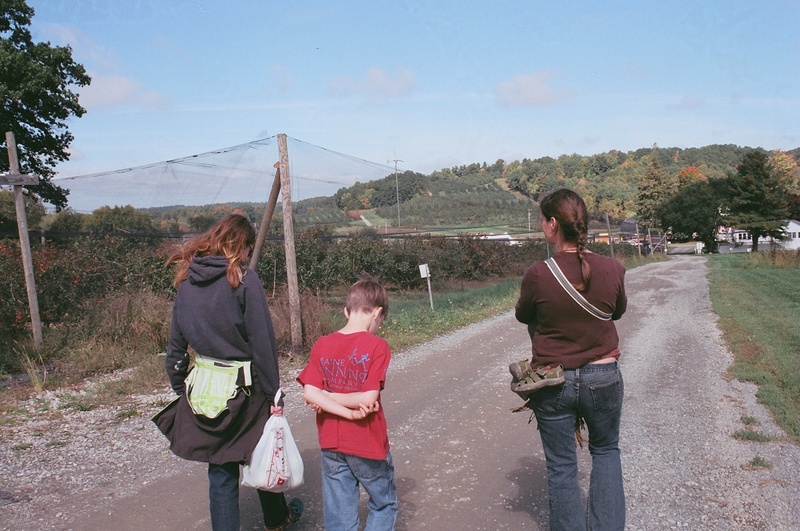 October 8, 2014 October 9, 2014 / Leah W.
APPLES, part of your November share, come to you from the orchards of Cider Hill Farm in Amesbury. Open until Christmas this year, Cider Hill is worth a visit – fun for everyone, with hayrides, pumpkins big and small, endless cider doughnuts, and of course, several varieties of apples to taste and pick. 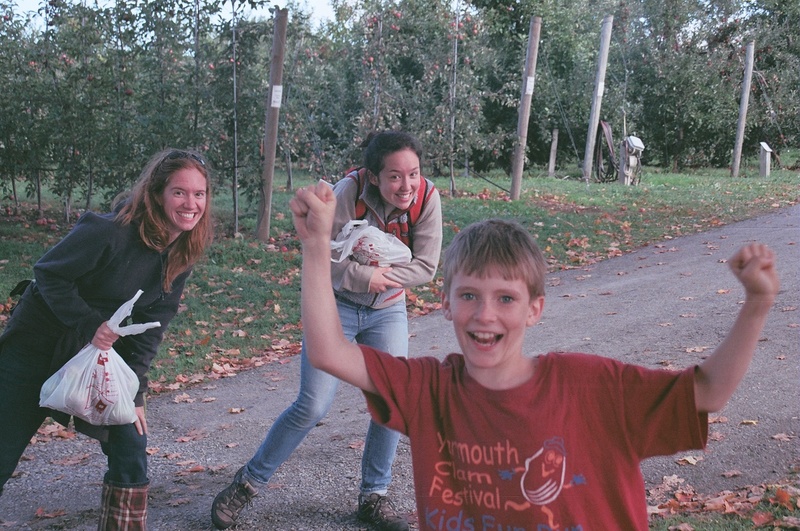 On Friday, when it was fairly cloudy and cool in Boston, some Shared Harvest team members took a trip up to Cider Hill, where the sun was shining and a morning spent under apple trees was really our only option. After a walk through the corn maze, ample apple picking, donut eating and checking out the animals and experimental hydroponic system, we were pretty spent. On our way out, we were lucky to snag a few moments with Glenn Cook, owner of Cider Hill (along with his wife Karen Cook). Like our other producers, Cider Hill is a small family operation and we love knowing that the orchards and fields have been managed by the same family for almost 40 years. Glenn, all smiles and high energy, is happy to send us apples for our core share, and additional/optional bulk and cider apples, just in time for Thanksgiving and the rest of the hectic holiday season. Even though most of my apples are being unconsciously snacked on with peanut butter, I can’t wait to put my apples into slaws and sauce (Gala apples make fantastic applesauce). Hopefully, I have enough apples to tide me over until Shared Harvest begins. If not…I’ll have to go back. And while I’m there, I might as well get a few donuts. ← Boston Local Food Festival: Thanks for coming out!